Here are the 11 Best Entry-level Mirrorless Compact System Cameras (CSCs) that ePHOTOzine has reviewed to date. The mirrorless compact system camera (CSC) lets you change lenses, as well as most of them using DSLR sized sensors with DSLR image quality in a much more compact camera. With a rapid refresh cycle, there are a number of new cameras introduced each year, with many offering innovative new features. Here we highlight the best entry-level Compact System Cameras. Click the camera names to read our full reviews of these cameras to see how they have scored, as well as the pros and cons of each model. To check the latest prices, you can click the green "buy on Amazon" buttons. It doesn't cost you anything extra when you press our Amazon buttons but by using our Amazon Affiliate links when ordering anything online, you are supporting the site - thank you. If you're not in the UK, clicking on the 'Buy on Amazon USA' button will redirect you to the relevant country site. If you don't see your favourite camera on this list it's either because we've not reviewed it or it's simply not scored high enough. The 16 megapixel Panasonic Lumix GX80 offers 4K video recording, 5-axis image stabilisation sensor, a built-in electronic viewfinder (EVF), a 3inch tilting touch-screen and built-in Wi-Fi. There is an ISO range of ISO100 to ISO25600, 8fps continuous shooting, and 4K Photo which offers 30fps continuous shooting. The Panasonic Lumix GX80 uses Micro Four Thirds lenses. 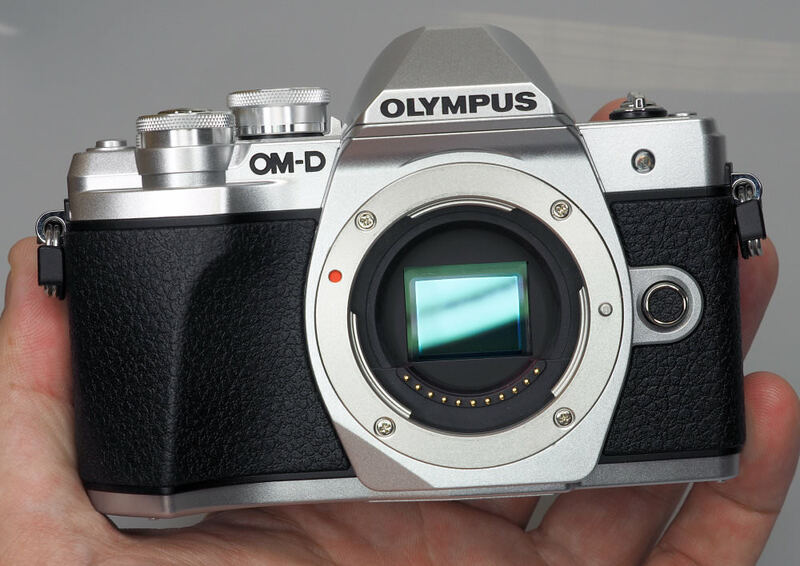 The 16 megapixel Olympus OM-D E-M10 Mark II is the entry level Olympus OM-D model, yet features the same 16-megapixel sensor as the E-M5 Mark II, as well as 5-axis image stabilisation, and built-in Wi-Fi, at a competitive price. There is a large, high-resolution electronic viewfinder (2.36m dots), ISO100 to ISO25600, 8.5fps continuous shooting and built-in Wi-Fi. 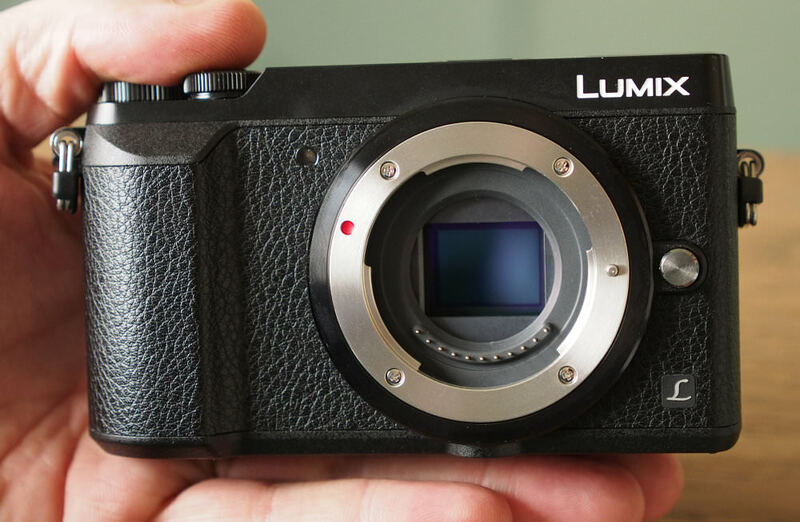 Although the camera is not weather-sealed, it does have a tilting touch-screen and uses Micro Four Thirds lenses. The 16 megapixel Olympus PEN E-PL8 features a tilting 3inch selfie screen, 3-axis in-camera image stabilisation, and records FullHD video. The ISO range is ISO100 to ISO25600, and the camera features built-in Wi-Fi, 8.5fps continuous shooting, and a metal camera body. The E-PL8 uses Micro Four Thirds lenses. 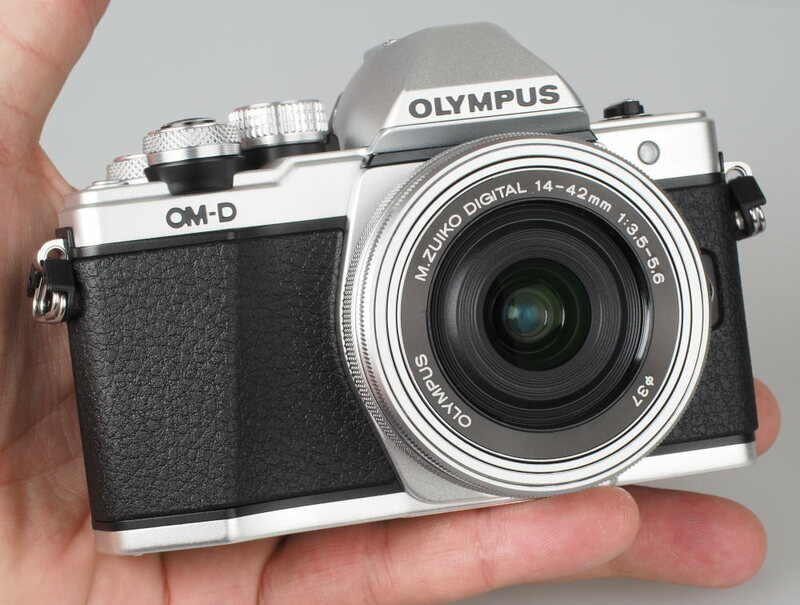 It's also worth looking at the previous version, while it's still available, the Olympus PEN Lite E-PL7. The 24 megapixel Sony Alpha A6000 offers high-speed shooting, at 11fps with continuous AF, a 3inch tilting screen, a built-in electronic viewfinder (EVF), ISO100 to ISO25600, and offers built-in Wi-Fi and NFC. The camera uses Sony E-mount lenses. 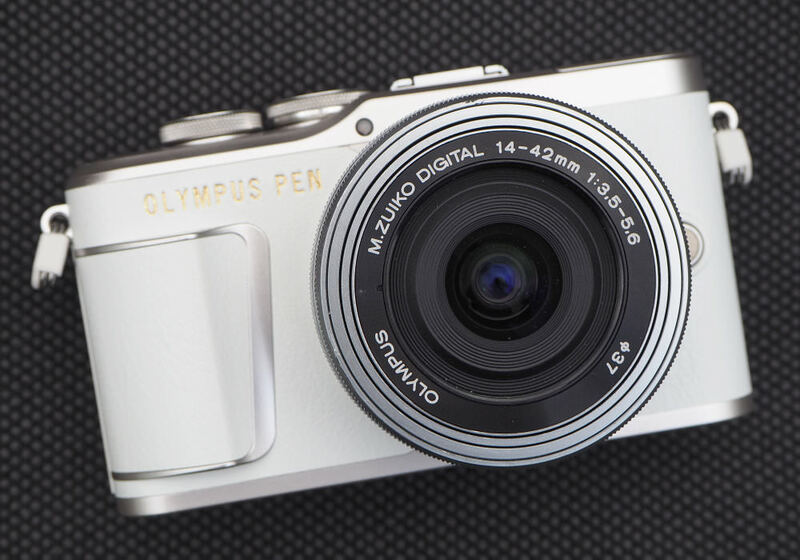 The Olympus PEN E-PL9 continues to deliver the same high image quality of other Olympus Micro Four Thirds cameras, giving excellent colour reproduction and great JPEG images straight from the camera. Noise performance is good, although doesn't quite match the performance of some APS-C cameras. The E-PL9 is now a more complete camera than any previous Olympus PEN camera, with the built-in pop-up flash a great addition. 4K video makes it competitive with the Panasonic Lumix cameras, and combined with built-in 3-axis IS, this is better than most other entry-level mirrorless cameras and will make your video look better than non-stabilised cameras. 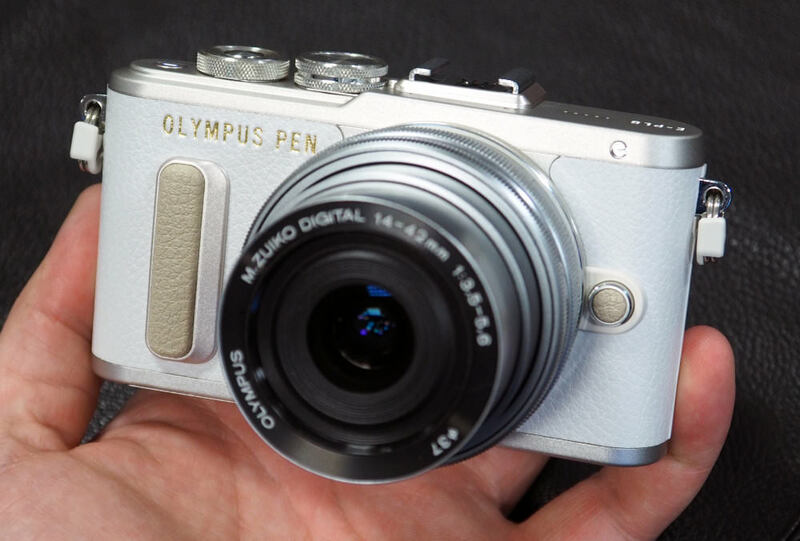 The Olympus PEN E-PL9 is likely to be a popular camera, particularly thanks to the 3-axis image stabilisation system, and 4K video recording. The biggest competition is the E-M10 Mark III, with built-in electronic viewfinder, the Panasonic Lumix GX80, and the Sony Alpha A6000, which both also feature a built-in electronic viewfinder. The updates to the user interface is a very welcome addition, however, the more advanced menus could still do with a refresh. The E-PL9 solves most of the complaints we had regarding the E-PL8, with a built-in flash, built-in automatic panoramic mode, as well as new, easier to use modes. As part of the Micro Four Thirds system, it also has access to the widest range of lenses available for a mirrorless system. The 16 megapixel Olympus OM-D E-M10 Mark III is the third entry-level Olympus OM-D model and features the same 16-megapixel sensor as the E-M5 Mark II, as well as 5-axis image stabilisation, built-in Wi-Fi, and 4K video recording at a competitive price. There is a large high-resolution electronic viewfinder (2.36m dots), ISO100 to ISO25600, 8.6fps continuous shooting and is designed to be easier to use. Although the camera is not weather-sealed, it does have a tilting touch-screen and uses Micro Four Thirds lenses. The 16 megapixel Fujifilm X-A2 shoots at 5.6fps in continuous mode, and there is a tilting 3inch selfie screen, ISO100 to ISO25600, built-in Wi-Fi, Flash and a flash hot-shoe. 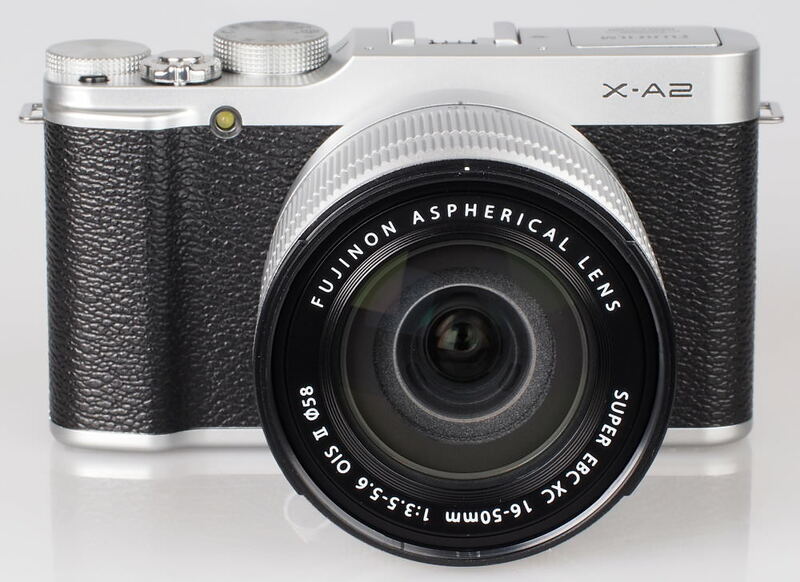 The Fujifilm X-A2 uses Fujifilm X-Mount lenses. The 24 megapixel Sony Alpha A5100 offers an APS-C CMOS sensor, a 3inch tilting selfie touch-screen, ISO100 to ISO25600, 6fps continuous shooting, built-in pop-up flash, plus built-in Wi-Fi and NFC. 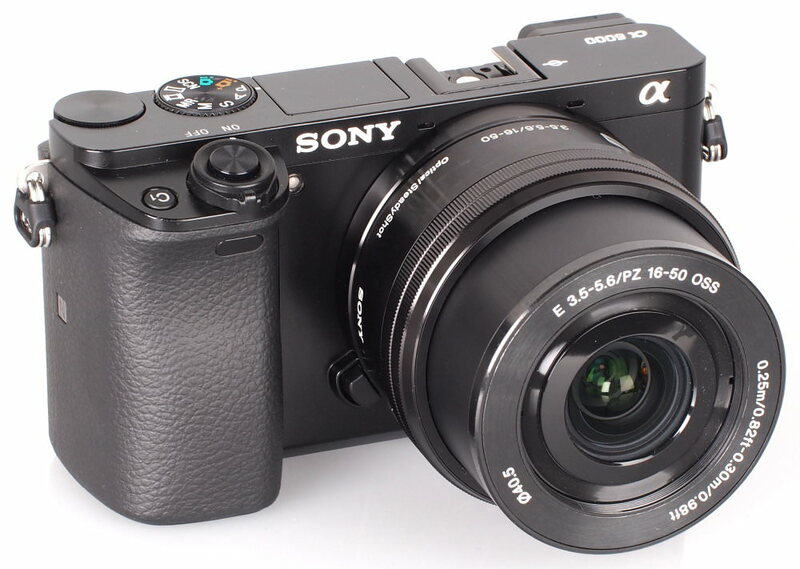 The A5100 uses Sony E-Mount lenses. Panasonic’s entry-level Lumix GX800 sits at the bottom of the Lumix GX range, replacing the GF7, with a new design and styling. The camera features a 16-megapixel sensor, 4K photo and video, a 3inch tilting touch-screen and built-in pop-up flash. The camera looks better than the GF7 it replaces, with a better feel in the hand as well. The Panasonic Lumix GX800 is available for £499 with 12-32mm kit lens, making it good value for money as one of the cheapest 4K capable mirrorless cameras. For those who on a tight budget, the GX800 offers a lot of features, fast performance, and excellent image quality, all for less than £500. 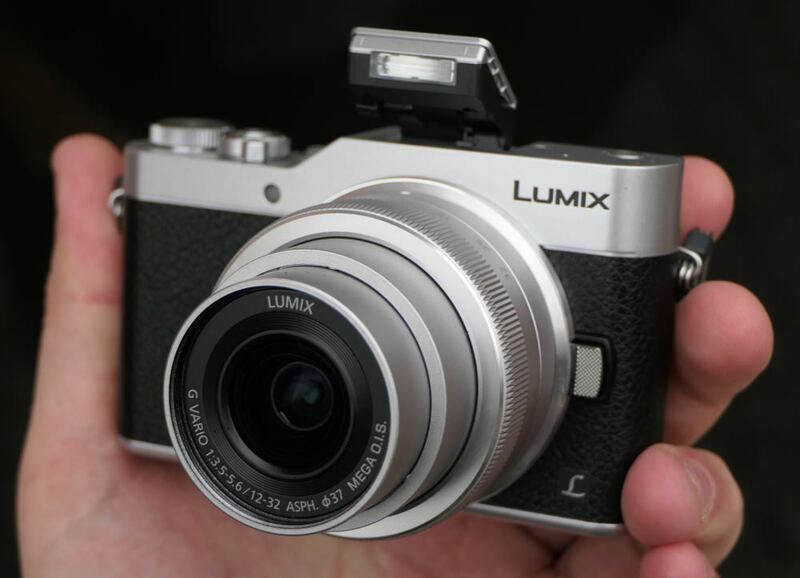 It's also worth looking at the previous version, while it's still available, the Panasonic Lumix GF7. The Canon EOS M50 offers a compact, DSLR styled mirrorless camera, with an updated 24mp APS-C CMOS sensor, which gives excellent image quality, with the same excellent colour reproduction that you get with Canon EOS DSLRs. You also get high-speed continuous shooting, 143 focus points, and a high-resolution electronic viewfinder. It's also one of the cheapest Canon cameras to record 4K video, and the side mic socket will make it appealing for those who want to record video. If you want to use Canon EF lenses, with an adapter, on a smaller camera body, or want to use one of the EF-M lenses, then the Canon EOS M50 is a compact option with great levels of performance, and is an enjoyable camera to use. It's just frustrating that in order to get the best from the camera you have to use the EOS-EF-M adapter, due to the lack of native Canon EF-M lenses available. It would be nice to see Canon introduce new lenses more often than they have, as the last new lens was announced in September 2016. Considering the EOS M system has been around since 2012, and there are still only 7 Canon EF-M lenses available says a lot. Consider Sony's FE mount camera system, released in 2013, now has 24 Sony FE mount lenses, Fujifilm has 28 lenses for their system, Olympus offers 28 lenses, and Panasonic offers 37 lenses, it's unfortunate that a camera as good as the M50 doesn't also benefit from such a wide choice of lenses (without having to rely on an adapter). If you're going to buy a mirrorless camera system, which gives you the ability to change lenses when needed and think about what lenses you'd buy for the camera, the Canon EOS M50 comes up short. Which is a real shame, as the Canon EOS M50 is the best value for money out of all of the Canon EOS M cameras, is great fun to use, and is capable of taking some excellent shots. 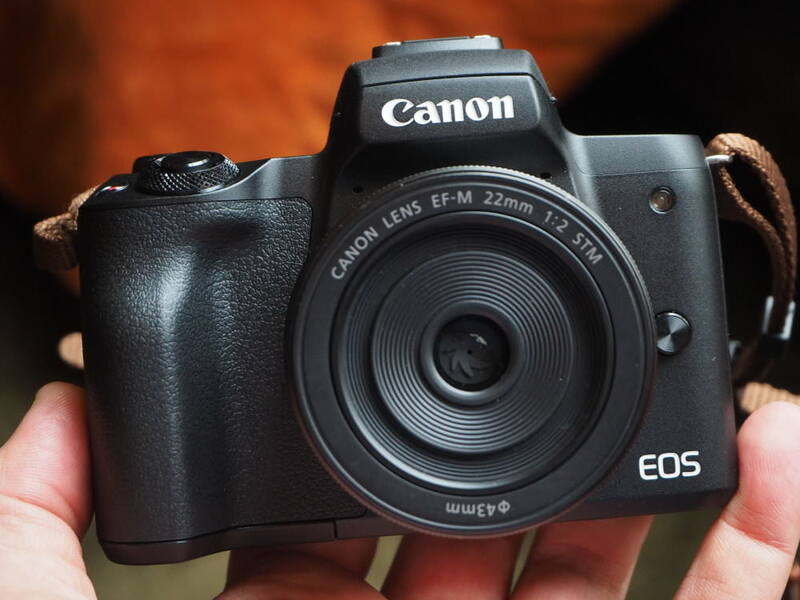 Perhaps we'll see the lens range increase in future, and if it does, then the Canon EOS M50 could be a real winner. 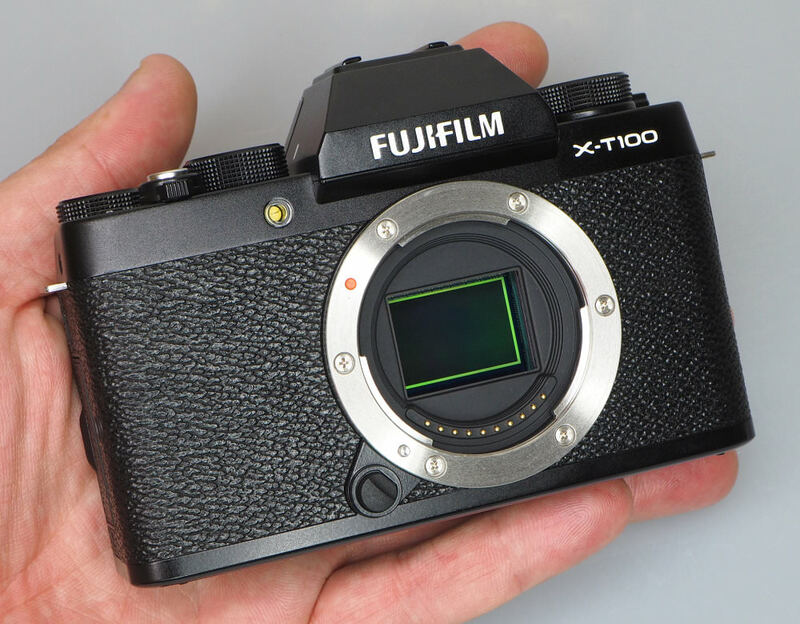 The 24 megapixel Fujifilm X-T100 offers a compact, retro styled camera body with an electronic viewfinder, excellent noise performance from the APS-C CMOS sensor, and built-in Wi-Fi. 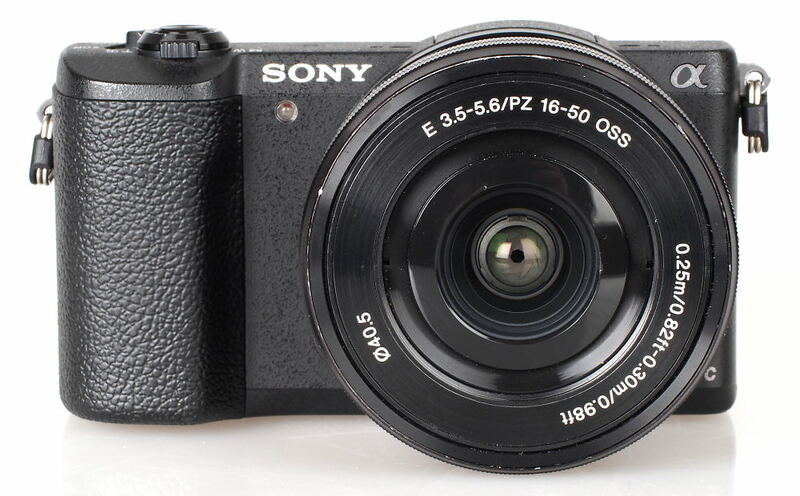 The camera is available with a compact 15-45mm pancake zoom lens, which makes it a compact option. There's face and eye-detection focus, as well as 4K video (albeit at 15fps) and there's a built-in pop-up flash. For premium mirrorless compact system cameras (with a viewfinder) have a look at the Top Premium CSCs round-up and to see the latest mirrorless compact system camera reviews, have a look at our review section of the site. Don't forget to pick up a bag for it to protect it - have a look at our complete guide to bags. If you want a memory card for your camera, have a look at our complete guide to memory cards.